Kegel exercises are performed to recognize, control and develop the muscles of the pelvic floor. 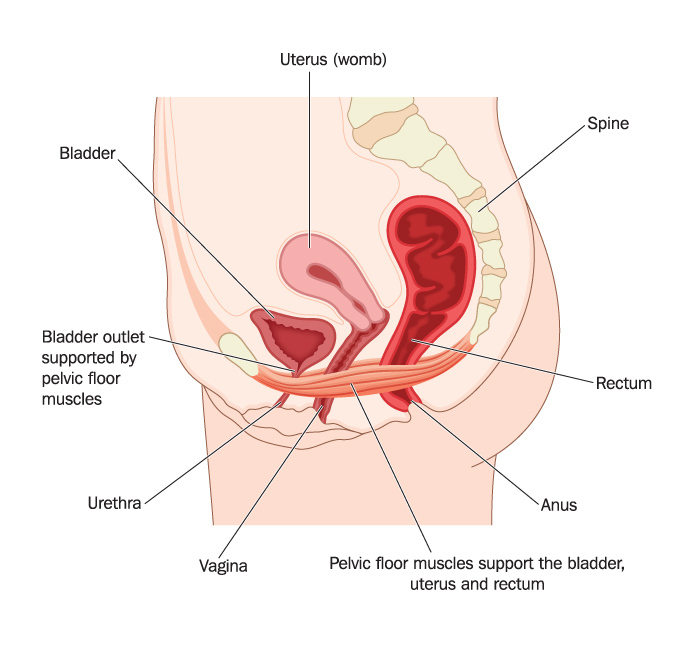 Kegel exercises can be very effective in improving urinary incontinence and pelvic organ prolapse complaints. To initially identify which muscles are involved, alternately start and stop urinating while using the toilet. After identified, practice tightening and releasing these muscles while sitting, standing, walking, driving, watching TV or listening to music (not while urinating). Kegels are performed by tightening the muscles identified slowly. Imagine these muscles are rising like an elevator – one floor at a time. When the muscles have “reached the 10th floor”, then slowly release the muscles one floor at a time. Practice exercises three times daily starting with 5 exercises each time. Gradually work up to 20-30 exercises each time. Be careful to not squeeze the muscles of the leg, buttock or abdomen. It may take 4-6 weeks to notice an improvement in urinary incontinence symptoms. Remember, it took time for your pelvic muscles to become weak….it will take time for them to regain strength.